December 24th, 2010. Fridge. Night. The other vegetables in the fridge have been talking. Tomorrow is Christmas Day and the humans will have a feast. Most of us will be eaten. Is my story any different from the rest? The mustard wants to hear it. He's become a good friend to me. He's been here in the fridge a long time, his label is peeled off and his lid is nearly crusted shut. I know that he's seen many vegetables come and go, but he still wants to listen to my tale, and I am grateful for that. I am from Willowbrae Farms in Cobourg, Ontario. I was just a bud when I first caught sight of Josephine. She grew on the stem next to me, and in the mornings when the sky was pink and the sun not yet arrived, Josephine and I would whisper to each other about our plans. Eventually, we had a son, Hector, who I loved more than I imagined possible. Our growing season was long, and we had many happy days together. After the first frost, the pickers arrived. They chopped my stalk and tossed me into a deep basket. I never saw my family again. December 25th, 2010. Countertop. Morning. They have come for us. The other sprouts and I have been dumped into a colander and rinsed in the sink. It won't be long now. I can see the pot of boiling water on the stove. I do not hate the humans for what they are about to do. I know that it is in their nature and I am not afraid. To my wife, Josephine: Thank you for choosing me. Your love has given me wings. 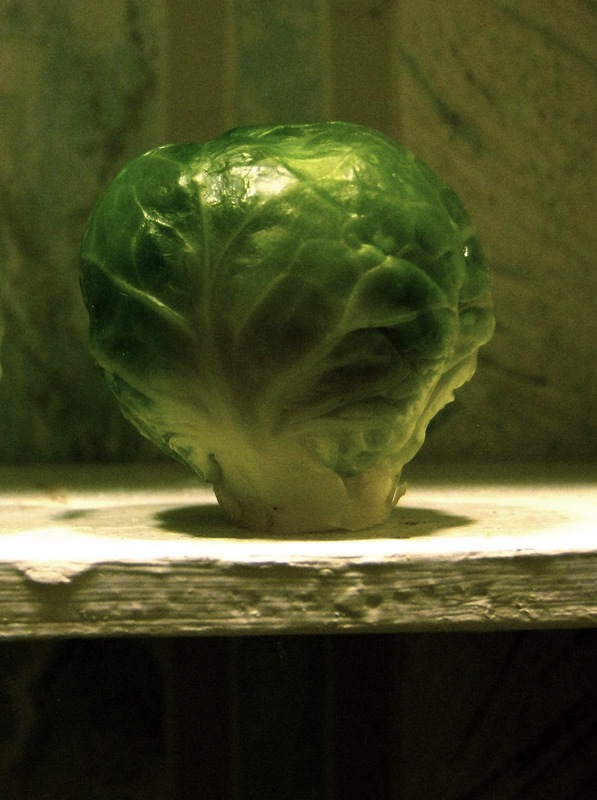 To my son, Hector: Do not listen to anyone who tells you that you are just a Brussels sprout. The world is yours if you wish it. Dare. Dream. Discover.